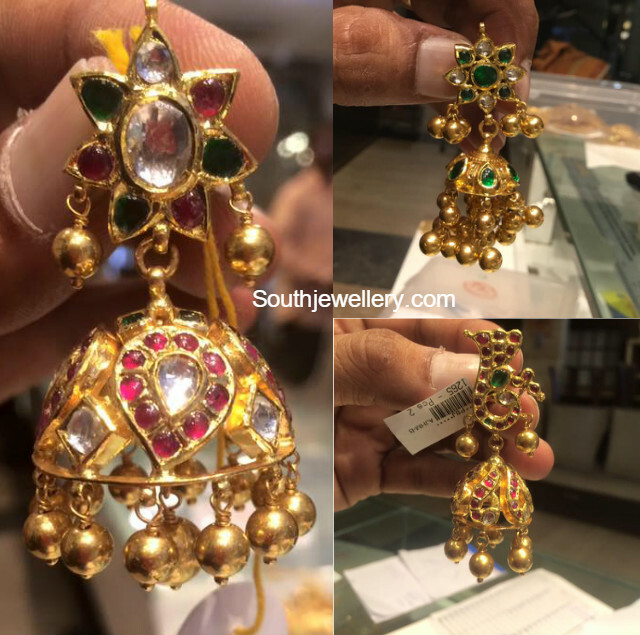 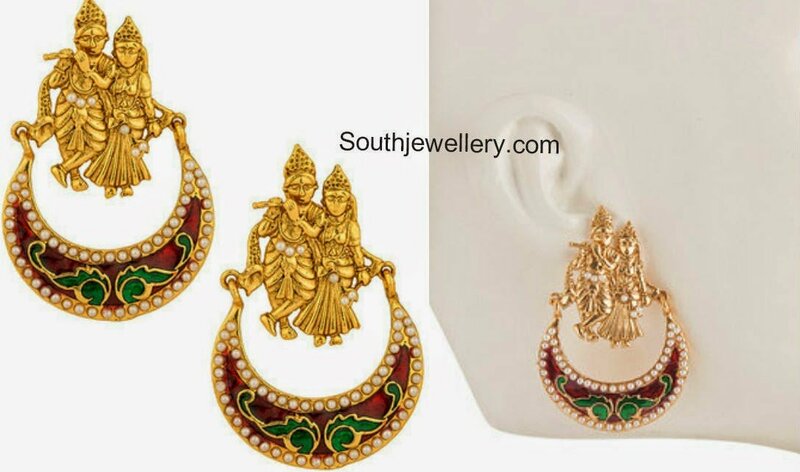 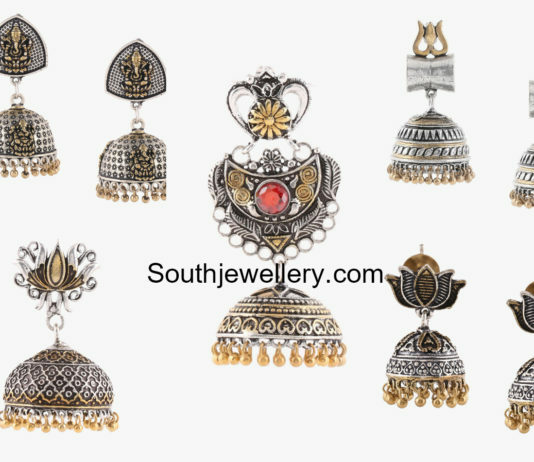 Dual Toned Ethnic Jhumkas – Shop Online! 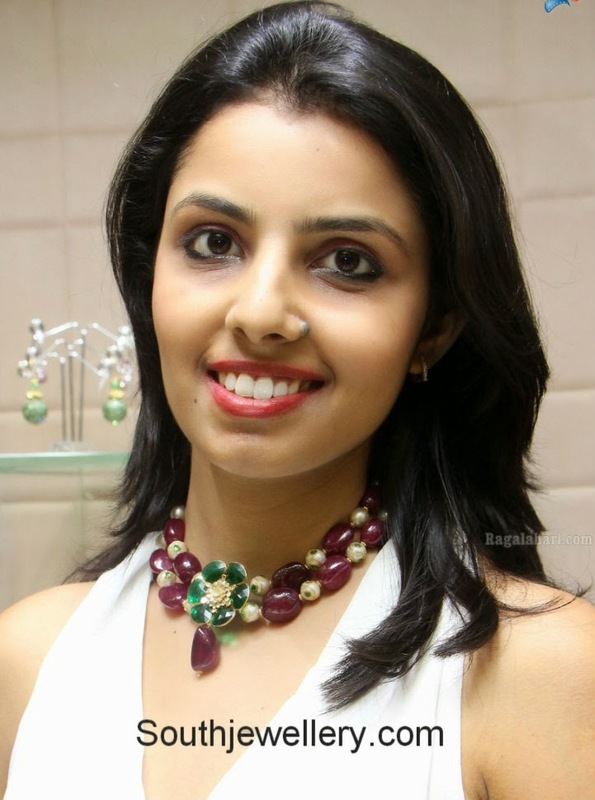 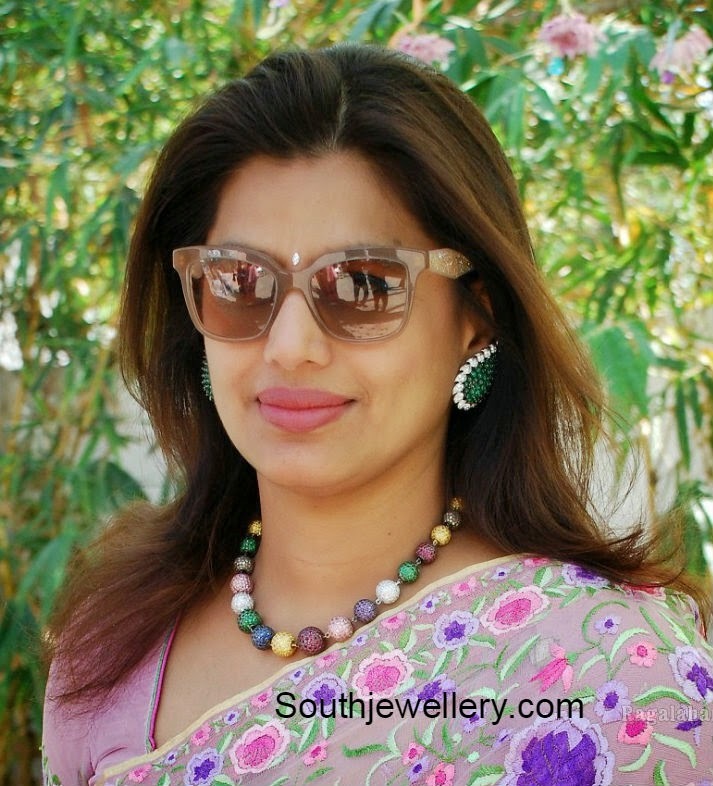 Socialite Pinky Reddy in multi color crystal balls necklace teamed with huge emerald diamond tops. 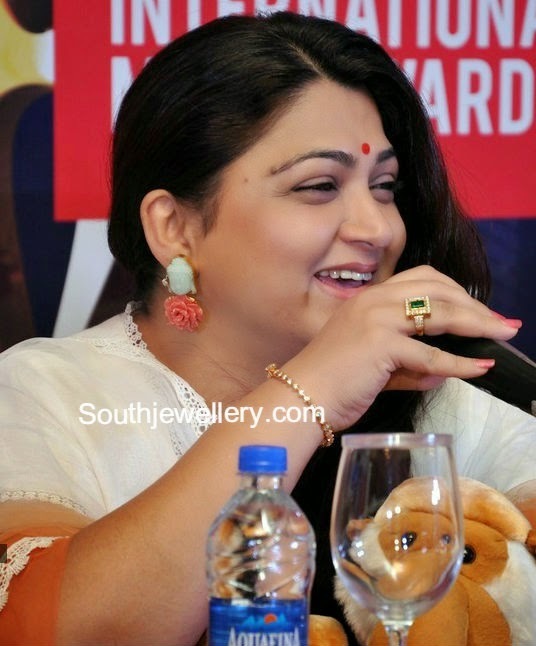 Actress Kushboo Sundar in carved Buddha and coral rose earrings. 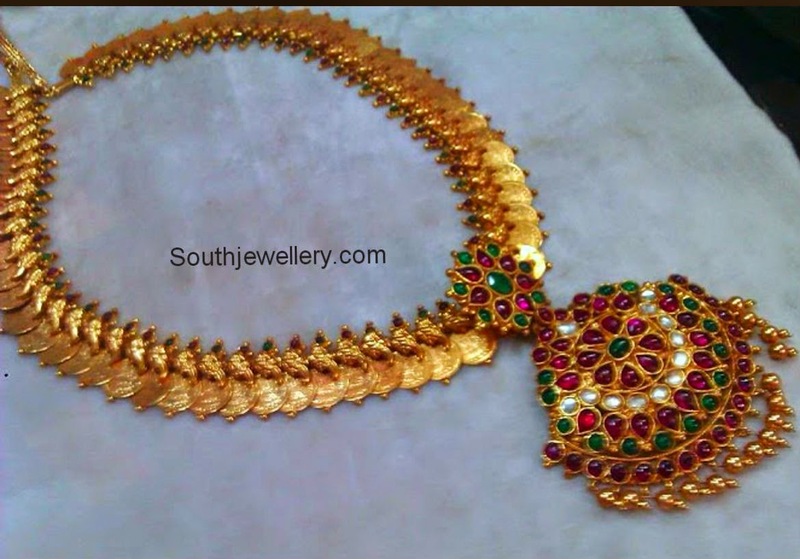 Fancy beads choker with two strings of ruby and south sea pearl beads attached to a central floral pendant by Hiya Jewellers.